It is also a known fact that Vijay Sai hasn’t been receiving much work in films and has been struggling to manage his finances. Noted actor in Telugu cinema Vijay Sai committed suicide at his residence in Hyderabad. The actor apparently hung himself from the ceiling fan of his room early in the morning and killed himself. Vijay Sai is said to have recorded a video in his mobile phone, which is now in the possession of police officials, and has blamed his wife for the extreme step. Reports are doing rounds that Vijay Sai and his wife, Vanitha, have been living separately for more than 2 years after getting separated because of issues between them. Reports are suggesting that Vijay had gone into depression because of financial pressure and a disturbed marriage, however police officials have not yet confirmed this. According to reports in Telugu news channels, Vijay has named his wife and two others in the video clipping as reason for his suicide and has also said that they had been demanding him INR 3 crores from him. It is not clear yet as to why the money was being demanded from Vijay Sai. This is not the first time celebrities from film industries have resorted to such extreme step. 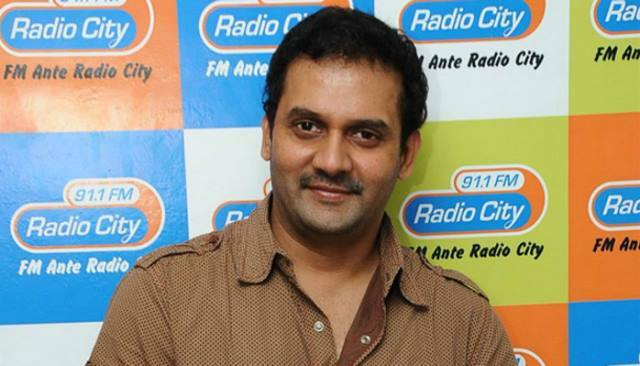 In 2014, popular Telugu actor Uday Kiran too committed suicide by hanging himself at his residence in Hyderabad. The actor is said to have taken such extreme step because of financial issues and issues with few of his family members. Many political leaders and industry insiders had blamed the big ‘three’ of the film industry as the reason for his death since he couldn’t get much work in films because of the families’ influence. Recently, in Tamil film industry, popular producer Ashok Kumar killed himself after being pressurized by financiers for the loans he had taken to produce few of his movies. Ashok, too, hung himself and left a suicide note stating the reasons for killing himself. Ashok Kumar is said to have taken loans on interest from financiers in Tamil Nadu and has been paying interest on the loans for more than 7 years now. Ashok Kumar is the cousin of actor-director M. Sasikumar and the two have worked on many films in Tamil together. Ashok Kumar is said to have written a letter, before killing himself, in which he has blamed financier Anbuchezhian as the reason for his extreme step and has also mentioned that he has been insulted and harassed many a times. Tamil Film Producers’ Council President and actor Vishal expressed shock over the incident and said that it could have been avoided had someone from the industry had voiced out against the financiers. “Devastated to hear the sad demise of a Dear Friend, Ashok Kumar who sacrificed his life succumbing to the pressure created by Financiers…. I truly wish that this will be the last Sacrifice in the name of Financial burden…. Suicide is not a solution & I hereby request Producers to reach out to us if they face such threats from Financiers, we will be more than happy to help them out,” Vishal wrote on his Facebook page. Veteran filmmakers and actors have always urged people in the industry to come forward and discuss their issues with someone so that they can be assisted with. But many cases have ended up resorting to the extreme step of committing suicide. So sad. And his friend calling him crazy and an idiot is not cool, how bout some empathy for his pain. false 498a and DV cases are so rampant, very sad that innocent men has to sacrifice their lives. It is a shame that he felt suicide was his only answer. Unless his wife was truly evil to him, it was very cruel to leave such a message.